Ramtaps provide a wide selection of beautifully designed showers. From modern to traditional use-friendly styles, Ramtaps entice you to indulge. The sleek, thin profile of Ramtaps’ Flush Mount Ceiling Showers is beautifully crafted, bringing an understated elegance to any bathroom. The integration of Ramtaps spring -fixing system ensures that no fixing components are visible and installation is easy and straight forward,even with limited access to the ceiling cavity. 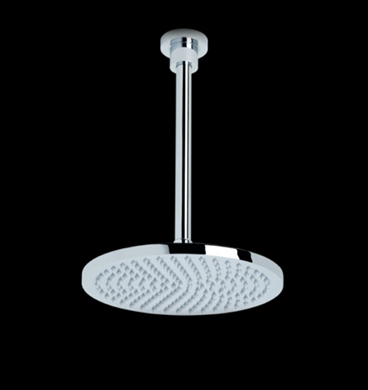 Quality materials and precision engineering combine to create high-end showers that you can enjoy for ears to come. The rub clean nozzle system allows wasy removal of grit and calcium build up. As a resultof Ramtaps’ commitment to quality, all shower ranges are covered by a comprehensive fifteen years warranty. For Ramtaps Terms and Conditions, please visit Ramtaps Service Page.